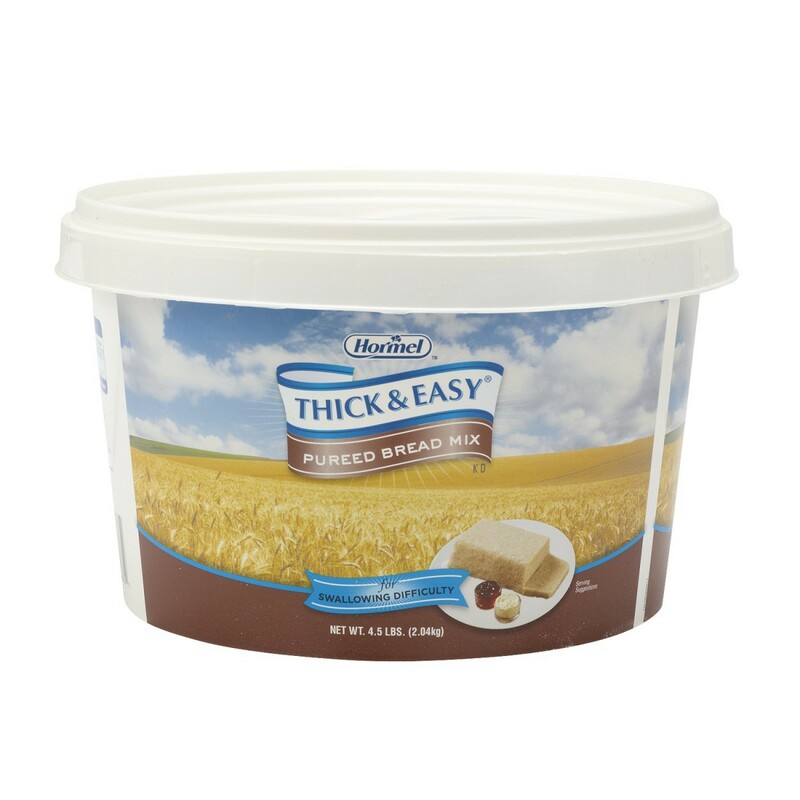 Thick and Easy Pureed Bread Mix, Hormel Health Labs 48862, is a pre-shaped, high-quality dietary supplement puree that's able to help dysphagia patients make items much easier to swallow. The bread mix is able to create a product that tastes like bread and all it takes is a little steaming prior to serving. These specific purees were created by chefs who who have an understanding of the condition but still focus on the taste of the puree. Each serving offers 60 calories and 11 grams of carbohydrates to help fill you up and stay full for longer periods of time. An entire tub is 4.5 pounds in weight.